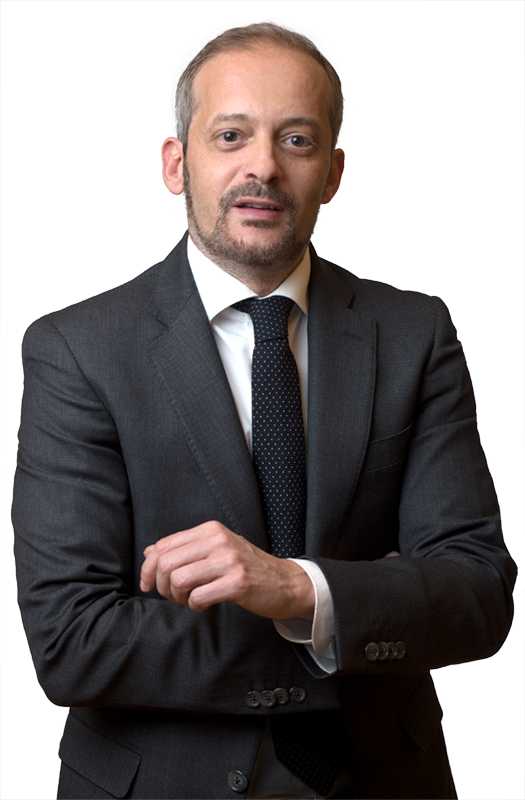 Matteo Biondetti is a partner at De Berti Jacchia Franchini Forlani, Milan office, after obtaining an LLM in “Intellectual Property Management” at the MIP-Politecnico of Milan. He has previously collaborated for Notarbartolo&Gervasi SpA, a leading Italian Industrial Property consulting company, and the Firm of Professor Lamberto Liuzzo, dealing with all matters regarding the Intellectual Property, including patents, trademarks, design, domain names, copyright and unfair competition. Matteo has been in particular practicing for more than fifteen years in the area of Intellectual Property, EU Competition and Information Technology, assisting national and foreign clients in the protection and enforcement of their intangible assets, during pre-judicial phases and civil and administrative proceedings before domestic IP Courts, the Italian Patent and Trademark Office (UIBM), the European Patent Office (EPO) and the European Union Intellectual Property Office (EUIPO). Together with other partners of the Firm, he has represented over the years a Swiss leader watch-company and its Italian affiliate in a huge number of online and offline counterfeit and passing-off cases and has acquired a considerable knowledge of the luxury and fashion sectors, with an outstanding specific expertise in brand, design and copyright protection and in the resolution of problems regarding the selective distribution systems and the consumers’ relationships. Matteo also advises important clients in the management and enforcement of their IP portfolio, during the negotiations, up to the finalization of commercial transactions, including trademark, design and patent licensing, know-how and technology transfer, adv and sponsoring contracts. He is regularly mentioned on Legal500, TopLegal and Legalcommunity in the Intellectual Property practice. Matteo is currently a permanent member of legal working groups “design” and “internet” of INDICAM and “patents” of AIPPI, and member as of 2018 of INDICAM Executive Board. He also attends the INTA annual meeting. Matteo is author of articles and commentaries on the Intellectual Property law and Competition, and actively collaborates to the IP Service of Surveillance of Milan Fair. In 2018 he has been guest lecturer at the Master in Fashion, Experience & Design Management (MAFED) di SDA – Bocconi School of Management. Assisted a famous watch manufacturer in interim judicial proceedings before the IP Court of Milan vis-à-vis foreign companies and a domestic hosting provider aimed at taking down and deactivating a number of online platforms offering for sale fake branded products. Represented a multinational company leader in the design and manufacturing of dishwashing equipment and customized solutions, and owner of a considerable number of patents and a portfolio of more than thirty trademarks, in proceedings before the IP Court of Turin seeking the invalidation of a European patent filed by a German competitor. Assisted a famous fashion griffe in negotiations for the manufacturing and distribution of luxury accessories, sunglasses and jewelry. Assisted a foreign company active in the manufacturing and commercialization of sporting race apparel in a transaction vis-à-vis an Italian entity for the transfer and assignment of an entire trademark portfolio, along with the know-how and copyright attached to certain designs and patterns. Represented a US company in proceedings for the reassignment of a “.com” domain name before the Arbitration and Mediation Center of the World International Property Organization (WIPO), Genève. BIONDETTI M. – ORSOLA G.